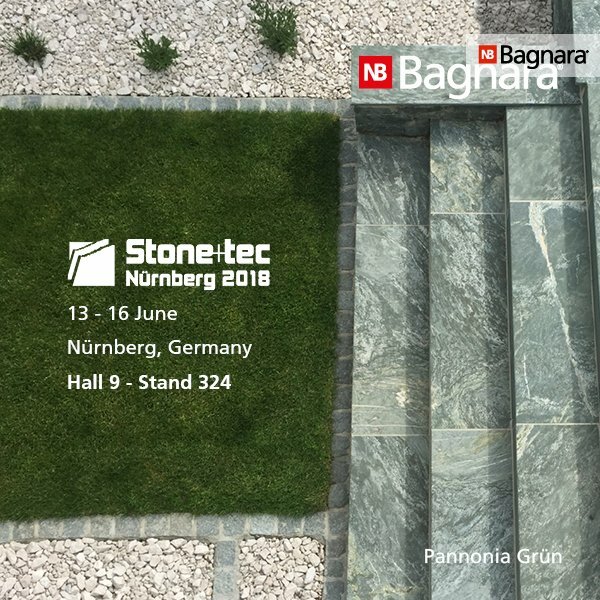 After a three-year break, Stone+tec took place in Nuremberg from 13 to 16 June this year. 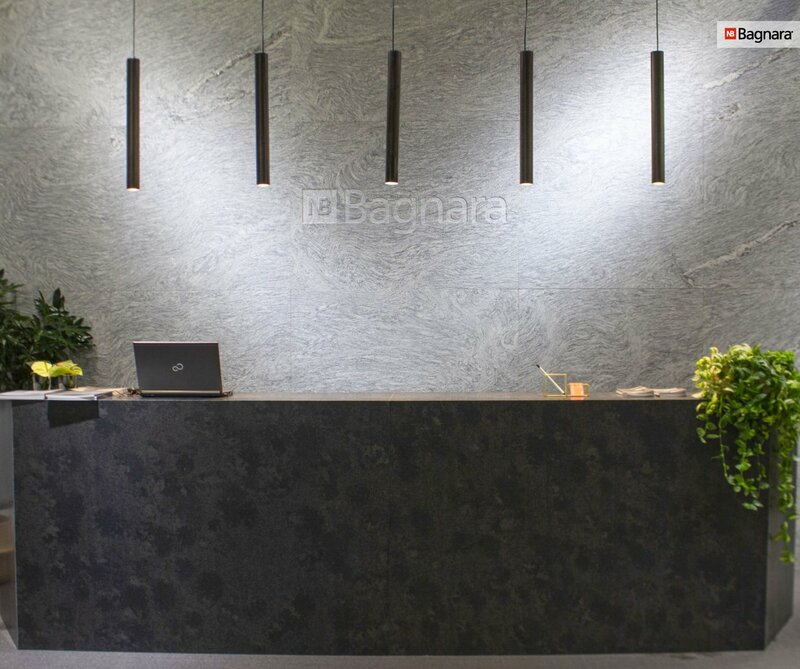 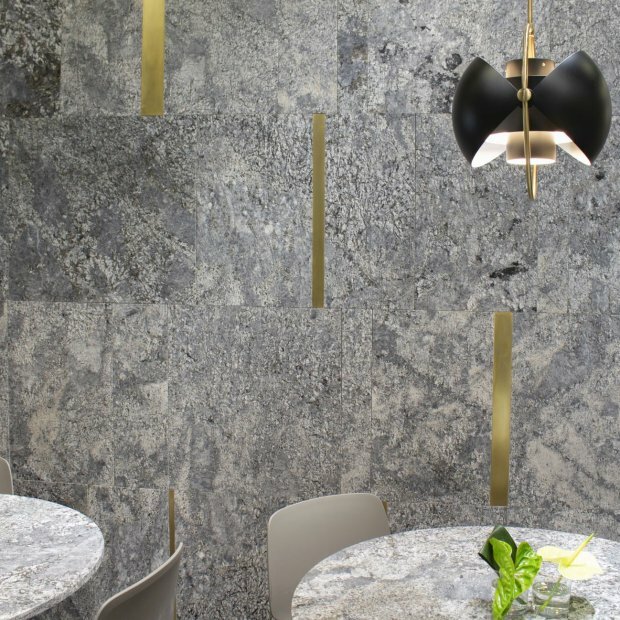 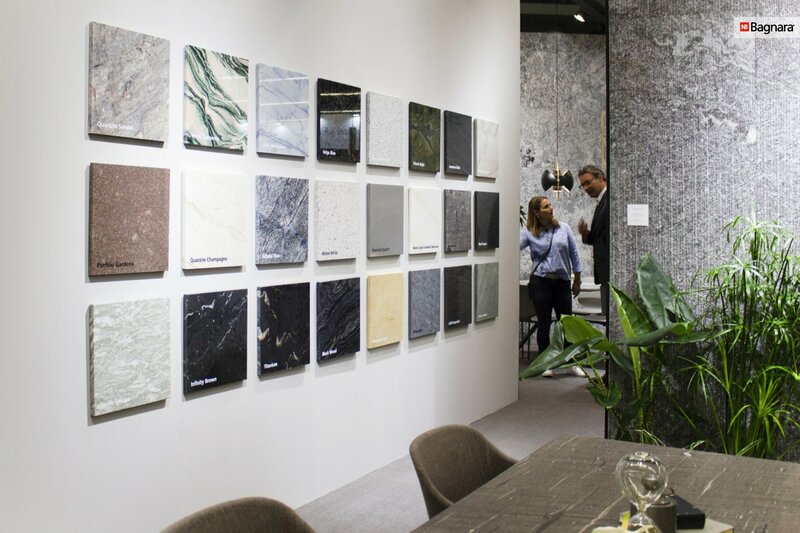 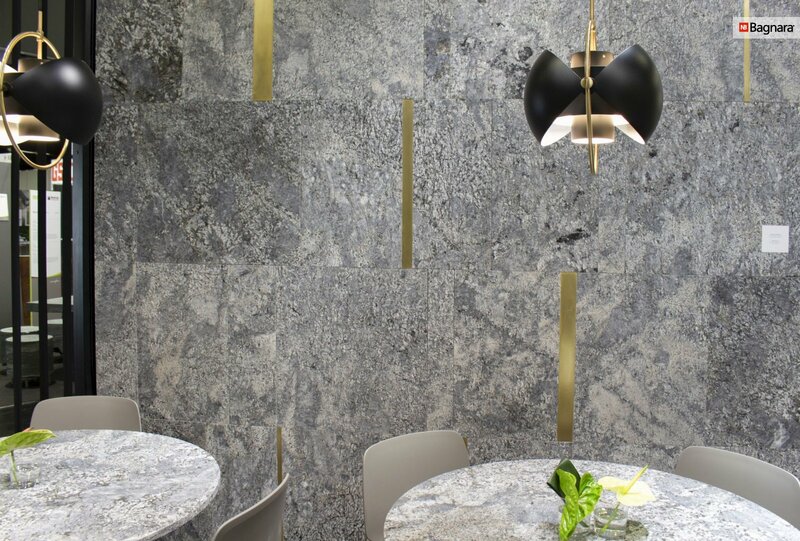 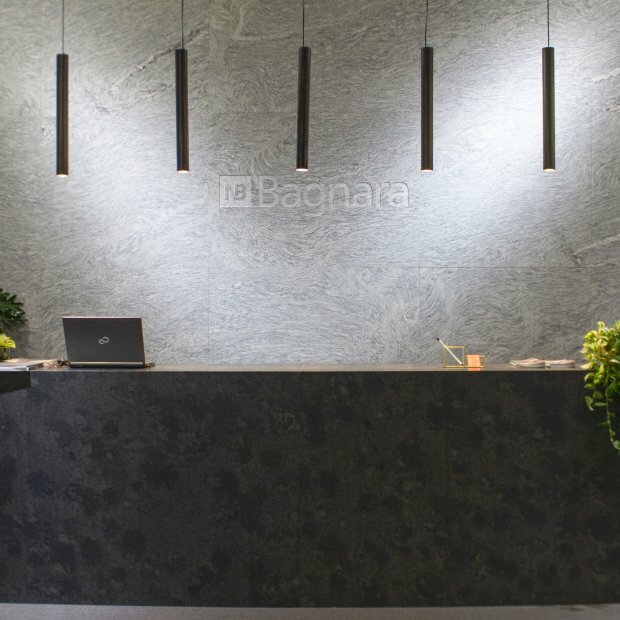 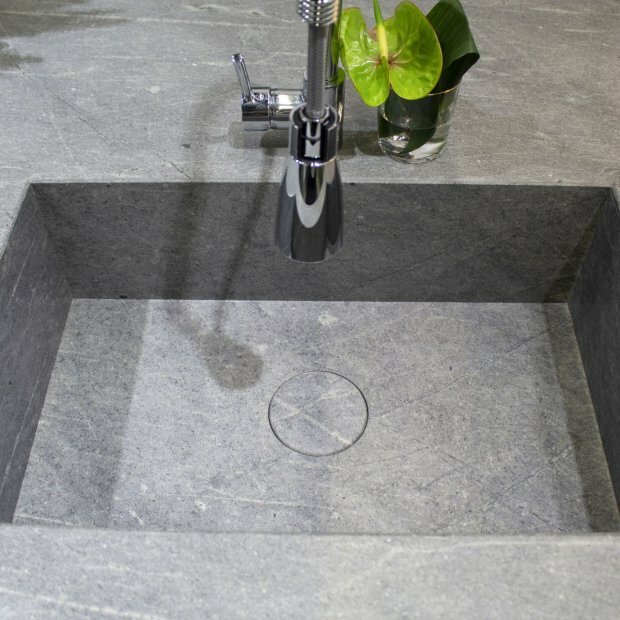 Our stand design offered visitors an insight into various areas of application of natural stone: kitchen, office and reception. 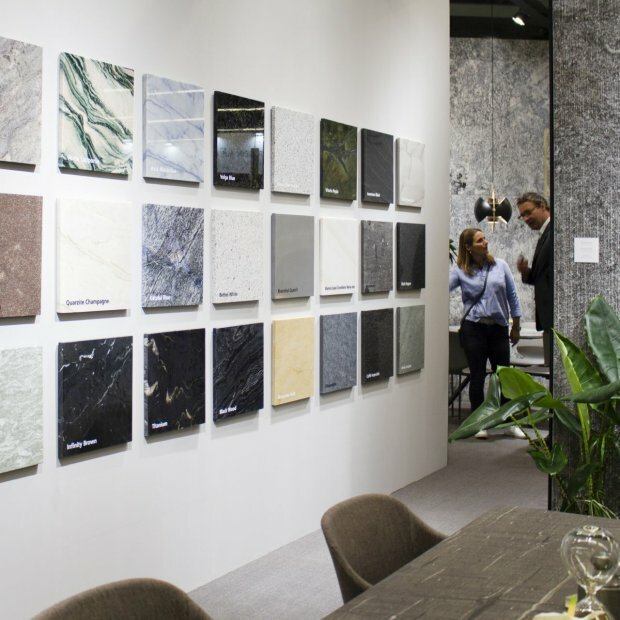 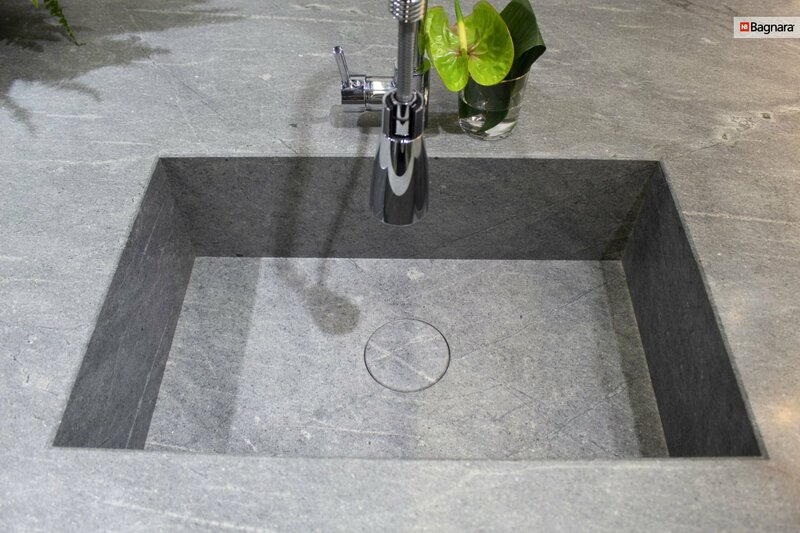 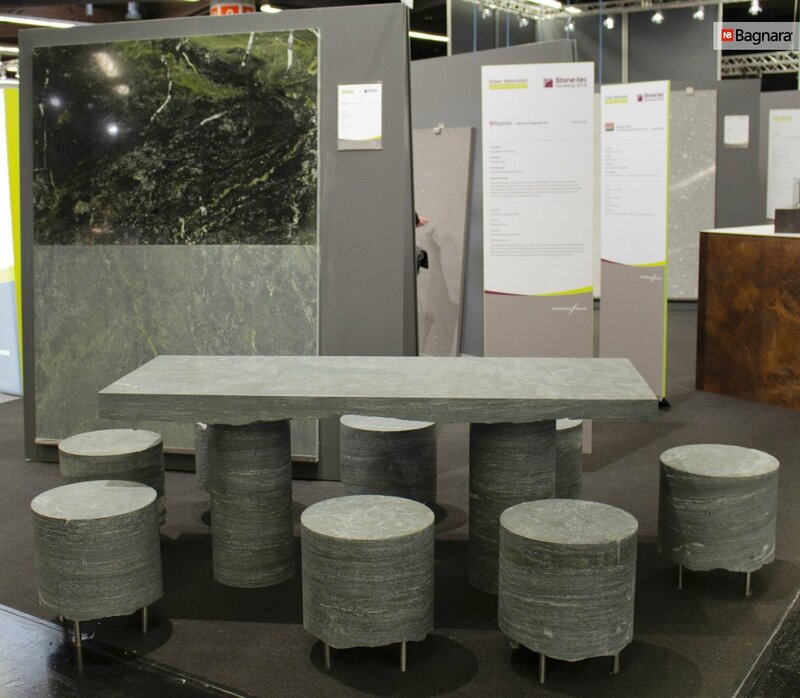 Another highlight at Stone+tec was the special show, where local materials were in the spotlight. 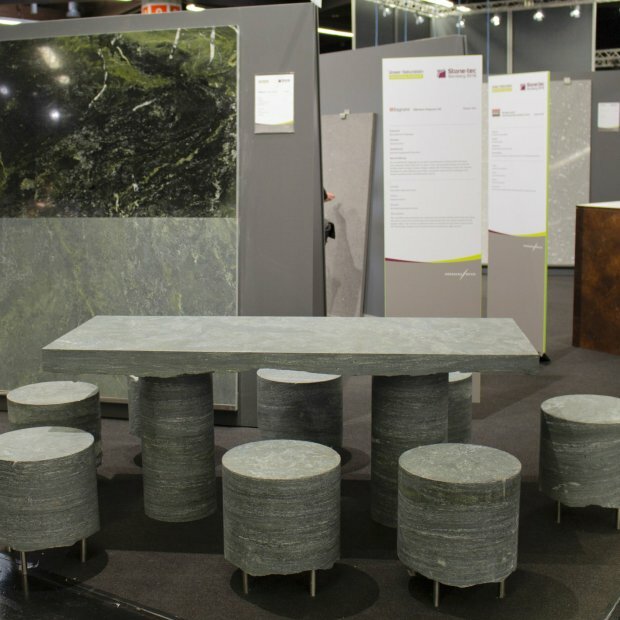 We were be present too with our material Pannonia Green.